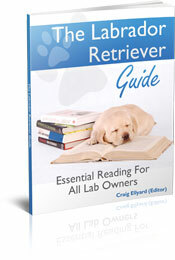 Welcome to the latest edition of the Labrador Review. Thank you for all the emails we receive; we do try and answer each one and as quickly as possible, but please bare with us if we don't get get to you immediately. We had a lovely chat this week with a lady who is a local canine behaviour specialist. 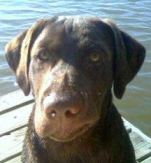 She did admit that Labradors can be amongst her more ‘challenging’ clients but we had asked her advice about our oldest Lab, Whisky, who is quite a nervous fellow. She did recommend some homeopathic remedies that we could try but she also introduced us to the ‘Tellington Touch’. I must admit that I hadn’t heard of this technique before but it is basically a way of touching the dog that helps adjust behaviour or even assist recovery from illness. Now, I am the biggest sceptic going when it comes to things like this, but I was impressed at how my Labs reacted to their ‘massage’. You can learn more about this technique at http://www.tellingtontouch.com/whatisTTouch.shtml (don’t forget to come back!) but to summarise their website “TTouch - the Tellington TTouch - is a method based on circular movements of the fingers and hands all over the body. The intent of the TTouch is to activate the function of the cells and awaken cellular intelligence - a little like "turning on the electric lights of the body." What an awful subject. 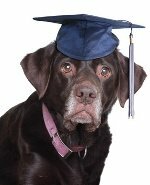 We do have lots of articles on the site regarding this horrible disease and how it impacts on our Labs but this week received news of a new product called Canine Cancer Secrets. 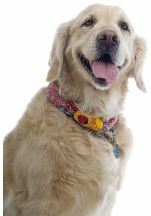 It is a combined ebook and video course that looks at causes and alternative cures and treatments for canine cancer. You can learn more at the Canine Cancer Secrets website who claim that ‘Canine cancer is getting out-of-hand & becoming an epidemic. Veterinarians have been expressing a growing concern in their professional community for several years and now the dog owning community is catching on. We are tremendously grateful that so many people visit our website and say nice things about it. But we would love to know more about our readers and their dogs. 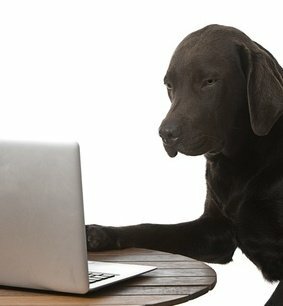 If you have the time and would like to share with the hundreds of people who visit our site every day why not send us a photo of your Lab and tell us all about your companion? It's really easy and we would love to hear from you.To do so just go to the following page and fill in the form. New Ebook - Out Now!